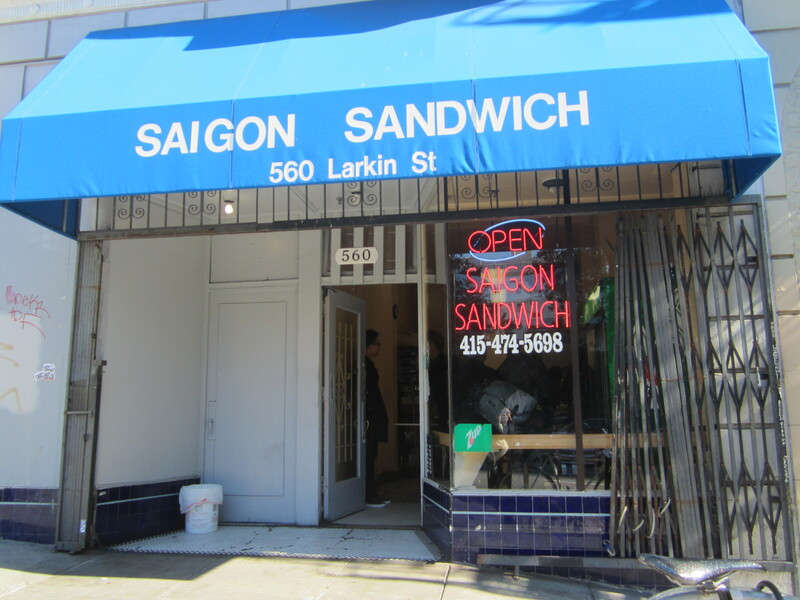 Saigon Sandwich in the heart of the ‘Loin is apparently ‘the’ place for bahn mi sandwiches. I made a detour today to check it out. It’s located across from the Phoenix Hotel on Larkin between Eddy and Turk. I got there at 11:15am. No line, but while I was eating at the 2-person counter, a line started up about 15 minutes later. I surmised there were a good number of people who work in City Hall or one of the municipal buildings in that area. Sorry, but I am not a fan. 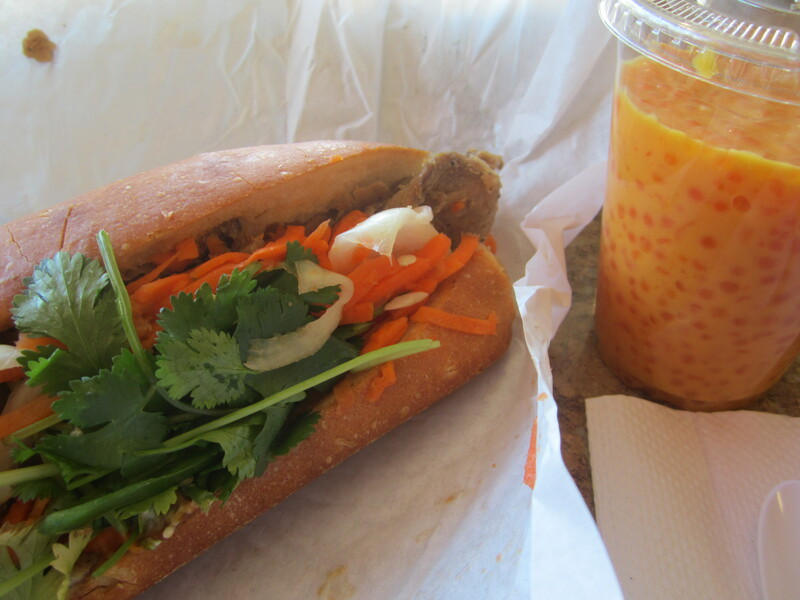 I got the roasted pork bahn mi for $3.50 and was quite disappointed. It lacked flavor. Nor did I care for the mango custard. I took a couple bites, then tossed it. Fresh Brew Coffee at 882 Bush Street makes way better banh mis in a much nicer neighborhood.